Our goal with every practice is to help you maximize and accelerate your revenue through improved, efficient billing and follow up processes at the most affordable rates. Collections can be costly but with our mature billing and follow up processes, we can eliminate the hassle, prevent errors, and guarantee a higher return on practice collections. Extra charges for sending any paper claims, medical records, etc. Medical billing services listed above are available at a price starting from 2.5% of total practice collections. Submission of paper claims and any medical records will entail additional cost. 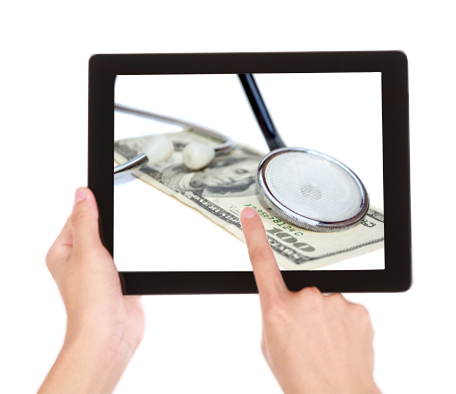 Choose RevenueXL's Free EHR with Revenue Cycle Management Services today! RevenueXL provides us with services that include Coding, Charge entry, Payment posting, and Follow up with Insurance Companies. They have helped us in getting better control over AR. We are also very happy with the support that RevenueXL has provided in Coding Review and actual coding of surgeries. Their staff is knowledgeable and professional- something that makes our coding education easier, because they truly understand the coding compliance business. I am impressed with RevenueXL's speed, comprehensiveness and educational aspect. They have helped me code more accurately.